Get back five hundred years in time in the old Madrid streets. Soak up the mixture of cultures, in the most important European crossroad in the Medieval era. Get amazed by the beauty of the Orient square, with the Royal Palace, the Royal Theater and the Almudena Cathedral. Discover Madrid on this 1.5-hour walking tour through the old quarters of the city, known as Madrid de los Austrias (Habsburg dinastry) with a guide to know the impressive Plaza Mayor, and walk down the stairs of Arch of Cuchilleros and the winding streets and alleys around Plaza de la Villa, core of medieval Madrid where you´ll see the oldest buildings, House and Tower of Lujares, where french King Francois was lodged prisoner by Spanish Emperador Carlos V, House of Cisneros, of early renaissance style and Casa de la Villa, former City Hall until 2007. 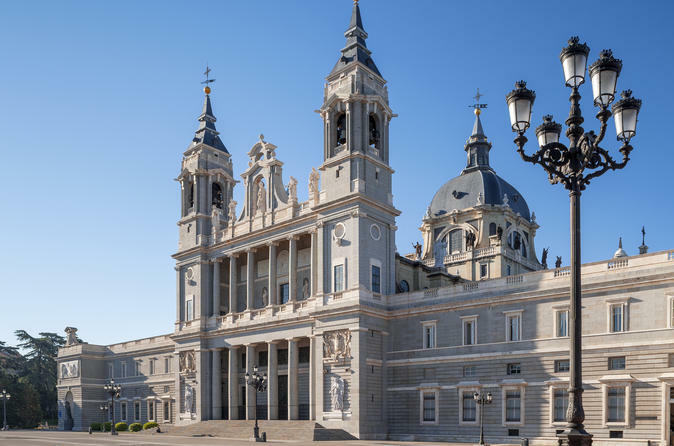 Then you´ll see the great neoclassic building of the Cathedral of Almudena, ending your visit in the beautiful Plaza de Oriente Where the Royal Palace is located.